Mira Platinum - A shower as individual as you are. Beautifully designed, easy to use, wireless digital shower that allows you to set your preferred temperature and flow. 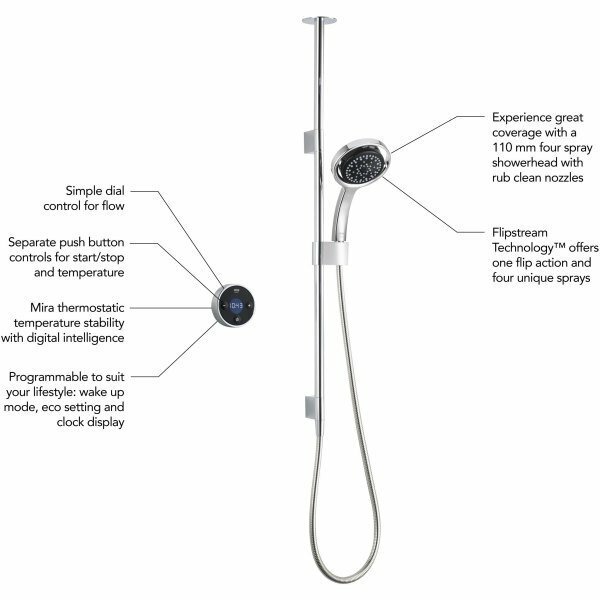 Mira Platinum comes with Mira 360 showerhead with Flipstream Technology. Takes water feed from ceiling. Includes a high pressure digital valve.